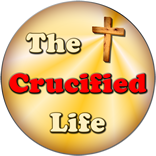 There is always a particular cost to following Jesus Christ. 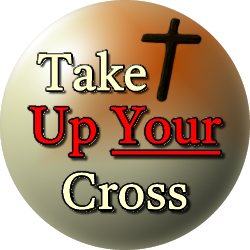 Picking up your cross and being busy in doing the spiritual will of the Lord means that man must lay aside anything blocking the way forward for the will and way of God in this world. To do the work of God allows no room for amassing great material and financial wealth considered great in this world, but rather for building glory and honor for God and for receiving blessings both on this earth and in the eternal realm. Jesus said: “Foxes have holes, and birds of the air have nests; but the Son of man hath not where to lay his head.” Literally following Him will cost everything the god of this world has to offer mankind on this earth. When Jesus was in the flesh upon this earth worldly possessions did not have control of Him, He did not even have a permanent place or residence upon this earth in which to call “home” or to lay His head. His physical death brought about the need for Him to be placed in a borrowed tomb because He owned no burial ground of His own. The man mentioned in this verse was willing to lay aside everything of this world down to follow Jesus, but only on his own timing and terms. He asked permission to go and bury his own earthly father first: “Lord, suffer me first to go and bury my father.” Many today have a strong desire to follow Jesus but want their service for Him to be on their own terms and timing. Jesus says now is the time and He is the only way and our spiritual work for Him is to be according to His will and not according to our own desires. Are you busy serving Jesus according to your own will and way, or according to His perfect will and timing? Often mankind desires to do things his own way rather than God’s way.